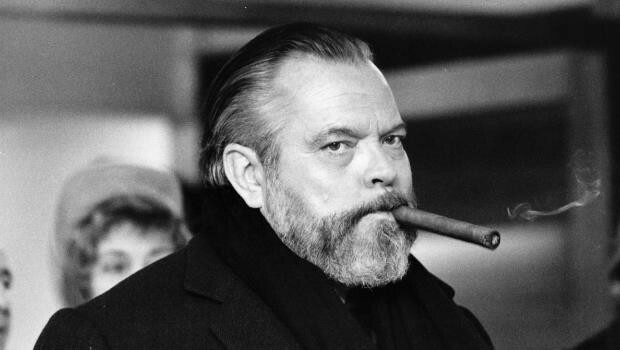 Orson Welles was born on 6th May 1915 in Wisconsin, far smaller than the 6’1” overweight man he would become. His parents were both successful in two very different careers: his father Richard Welles was an inventor and his mother Beatrice Welles was an accomplished concert pianist. However, their relationship did not mimic this success and when he was just six Orson’s parents separated. If not distressing enough to a child so young, Orson lost his (reportedly very beautiful) mother to hepatitis aged nine. Then only three years later at twelve his father also died after taking Orson on a world trip. His love for the arts became apparent at The Todd School were he had the opportunity to write and perform his own plays, and also the place were he produced his first film, a four minute short. This was a big turnaround for Welles who up until now, like most children, had disliked school. However, he did not choose to continue in education and after graduating he declined offers of college places to chase a career in the theatre. Unfortunately he had difficulty in getting a break, but finally did in 1934 through connections. Welles made his stage debut in New York playing Tybalt in Romeo and Juliet. This role tells of his passion for Shakespeare as he went on to play the title roles in film versions of Macbeth (1948), Othello (1952), and King Lear (1953). Welles was after all first and foremost an actor, playing close to a hundred roles in his on-screen career compared to the 16 films he directed (two of which, Don Quixote and The Other Side of the World were never completed). The Magnificent Ambersons (1942) was his next directorial role after Citizen Kane about a dysfunctional family. Again it was a critical success, but disappointed chiefs at RKO with it’s poor showings at the box office. Film noirish A Touch of Evil (1958) has since been seen as an influence on Hitchcock’s Psycho released two years later, but again it failed to get the audiences in. However, Welles was comical about his success, as he put it: “I started at the top and worked my way down”. Welles always had a steady flow of acting jobs taking good roles such as Mr Rochester in Jane Eyre (1944) which saw him through the difficult periods. He also took on a number of narrative roles including Battle for Survival (1947), but turned down the offer to voice Darth Vader in Star Wars: A New Hope. His voice was heard posthumously a year after his death in Transformers the Movie playing the role of Unicron. Welles received many impressive awards throughout his career including an Oscar (for Citizen Kane in 1941) Grand Prize of the Festival (Tragedy of Othello,1952), Best Actor (Compulsion 1959) and a Lifetime Achievement Award at Cannes (1984), as well as an AFI Lifetime Achievement award and nominations at the Berlin Festival and the Batfts. Throughout his career and still today Welles has inspired directors and actors alike. But no-one more bizarre than Edward d Wood Junior, the complete antithesis of Welles. Taking on all aspects of production like his hero, Wood constantly cited Welles as an inspiration to him and he supposedly met his icon in a bar as depicted in Tim Burton’s Ed Wood. But if Welles produced the best film ever in Citizen Kane, Wood has been cited as creating the worst film ever: Plan 9 From Outer Space. When Welles died in 1985 from a heart attack it was at his typewriter. He left behind a daughter, three failed marriages (including one to Rita Hayworth) and a legacy of film work that lives on.